Want to see what your eggs should look like? So why would you pick up a styrofoam egg carton with eggs that are old, old, old and mass produced under not so nice conditions? Go to your local farmer’s market. 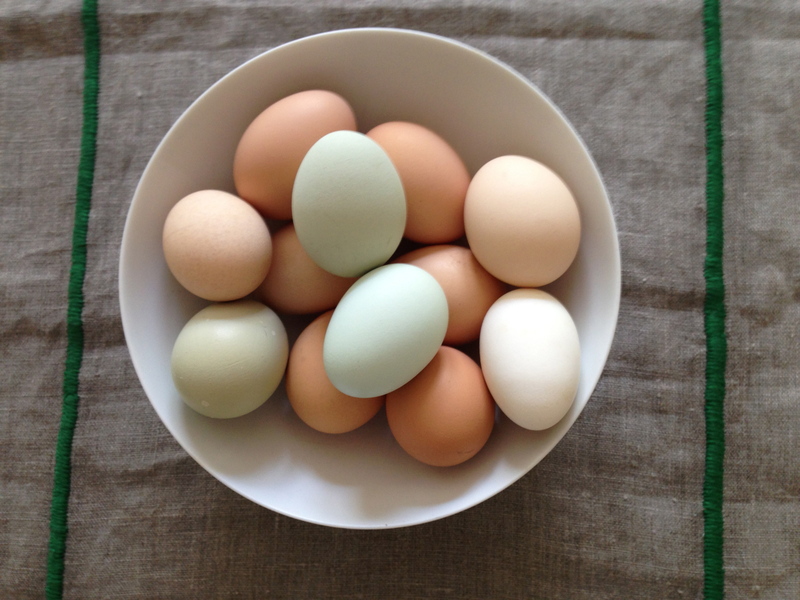 Spend a few bucks more and get fresh, organic eggs the way they should be. I so agree! and can you believe how GORGEOUS those pale turquoise ones are?? ?